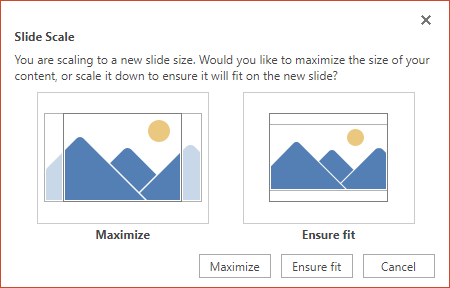 Near the right end, select Slide Size, and then click Custom Slide Size. 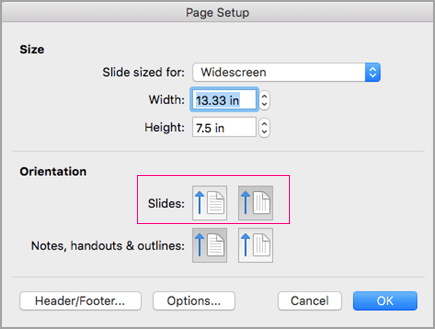 On the Design tab, in the Page Setup group, click Slide Orientation. 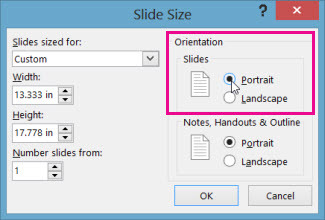 To change the page orientation for your presentation from portrait to landscape or from landscape to portrait, on the Design tab, click Slide Size. 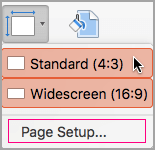 In the Page Setup dialog box, under Orientation, click the orientation that you want. Click the Design tab of the toolbar ribbon, and then, near the right end, click Slide Size. 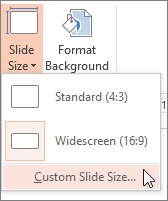 On the Slide Size menu that appears, select More Options. 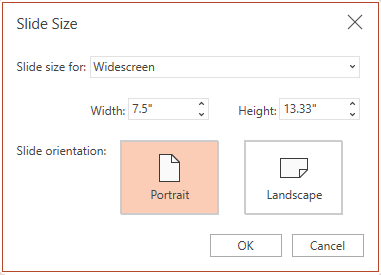 In the Slide Size dialog box, select Portrait, and then select OK.